Valentina Colaiacolo is Operational Excellence Manager at the Delivery Centre of Wartsila located in Trieste. After MSc’s Degree with honour in Industrial and Management Engineering, she continues her education obtaining a Postgraduate Master in Automotive Engineering. This allows her to start her career at General Motors in Turin as Test Engineer of Diesel-Hybrid Engine in the R&D department. 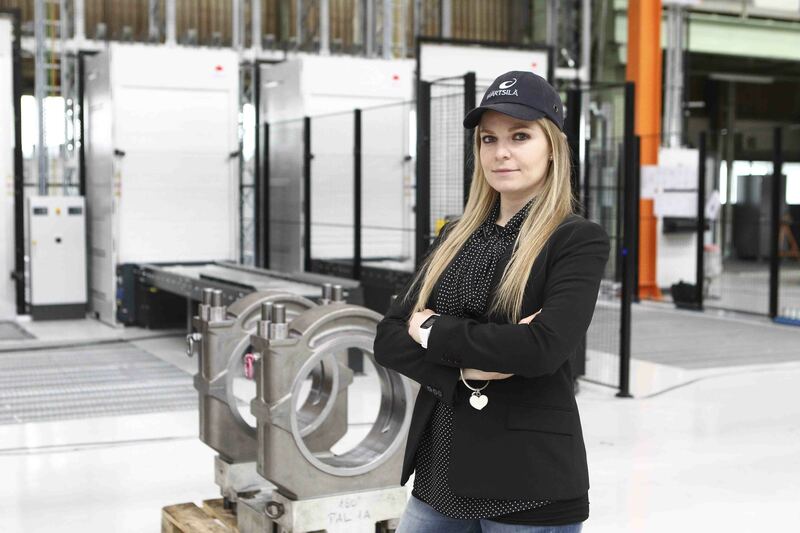 After this experience, she moved to Trieste at Wärtsilä Italy where she starts to work in the production environment first as Development Engineer, than as Tool Design & Calculation Manager. These experiences allow her to know the engine production as a whole and so to work to a considerable project about the transformation and optimization of factory layout. During this period she learns that the hardware transformation is not enough to change a manufacturing site, because the really change is made by people. Thank to this learnt lesson and the new opportunity as Operational Excellence Manager, now she is working on software transformation, “the hardest challenging”, working with people about Continuous Improvement, Performance Management, Kaizen, improvements of processes and way of working.